In the last two years I've reviewed dozens of USB drives but this review stands out from the crowd because the four USB drives from PromoLocker that are the subject of this review feature a personalized design. PromoLocker is a US firm specialized in producing custom USB products for individuals, SMBs and large corporations, but they also have governmental and educational clients. The main gig of PromoLocker is custom USB drives, they entered this market in 2001 and build drives from the ground up. You can choose between dozens of USB drive shapes on PromoLocker's website, and if your budget is large enough they can even make custom shapes. Besides USB sticks the firm also offers dozens of other promotional gadgets and accessories, including custom portable media players, custom USB mice, custom solar chargers for mobile devices, custom USB hubs, custom digital photo frames, custom Bluetooth headsets, custom product kits, and many other products. 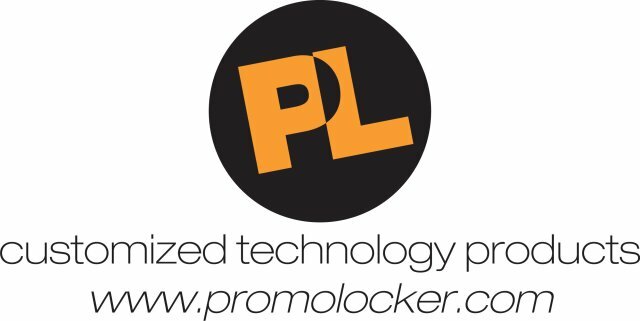 If you're looking for a somewhat more unique product to promote or brand your company chances are high you'll find something suitable over at PromoLocker. This review will solely focus on the custom USB drives from PromoLocker, first I'm going to describe the ordering and customization process and then I'm going to take a closer look at the drives the firm has made for me. The company contacted me a couple of weeks ago with the request to do a review of their custom USB drives. 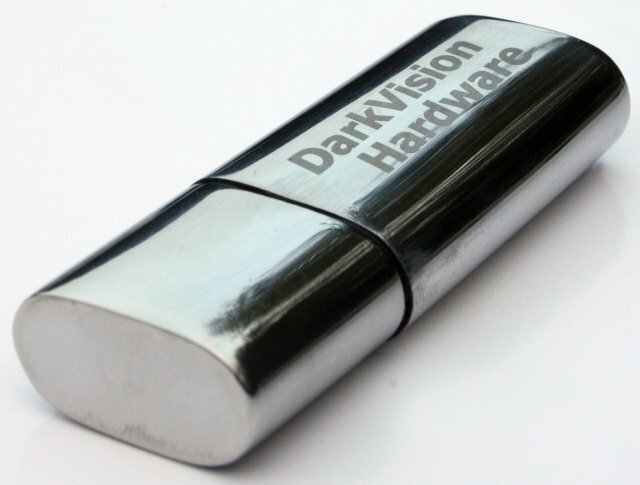 I agreed and picked one of the advanced custom flash drives from their website. For the highest possible quality PromoLocker prefers you send them your logos in the original vector format but unfortunately I no longer had this so I send them a simple and rather small JPG logo. Once they receive your logo PromoLocker goes to work and a couple of hours later one of the firm's customization experts will send you a free virtual mockup of your custom flash drive. If everything is alright, they'll start making your custom USB sticks. What sets PromoLocker apart from many custom logo USB drive firms is that they build from the ground up. The company chooses which chips go inside the drives, PromoLocker told me they usually use Tier 1 flash memory chips from Hynix, Samsung, Toshiba and Intel. The drives are then manufactured using SMT, Auto Insertion, Wave Solder, Refloat, and AOI machines, and every drive is tested and formatted before leaving PromoLocker's factory. Additionally, PromoLocker also offers customized packaging. 1. Never a setup fee. 2. Every order starts with a complimentary virtual sample, so you know what you are buying before making any commitments. 3. We offer “full color process”, silk screen, pad printing and laser engraving. 4. You’ll have the option of choosing from many standard colors or (if applicable) you can even PMS color match to your exact company logo. 5. Many units can be custom finished with a metallic, glossy, rubberized or opalescent surface. 6. We can imprint single color to full color depending on your logo needs. 7. Two sided imprints are STANDARD. 9. We can preload any data onto the drive with uniquely customized features such as, password protection, auto run capabilities, partitions, etc. Logos imprinted to any PromoLocker drive will never wear off…guaranteed! All plastic drives are painted – imprinted – then seal coated with a glossy or rubberized clear coat. Any imprinted drives using metal surfaces have a hardener added to the ink then baked for 24 hours to insure a strong solid imprint. All laser engraved units are done by state of the art Fiber laser machines that actually “burn” the surface of the metal. Unlike cheaper CO2 machines, we don’t need to use any sprays or surface treatment for the engraving process. We strive for quality, reliability, and customer service. We don’t try to be the cheapest guy on the block – instead we strive for perfection and customer loyalty. To give you a rough indication of how much custom USB drives cost I asked PromoLocker for a price list, below you can see the prices as of January 20, 2009. These are the prices for the standard custom USB drives, it includes one or two color logo imprints to both sides of the drive. Additional customization, like adding a custom PMS color, using a 3 color logo, or adding a second logo are all normally $0.25 add-ons. Prices for custom 256MB drives start at $4.50, if you order 500 drives. It's not exactly cheap, but custom USB drives will impress people a lot more than custom pens. PromoLocker usually ships out the product in 7-10 business days, but some shapes can be shipped to you as quickly as tomorrow.